I’m a big reader. I often choose a book over the television or a movie. Sometimes I even read around TV shows and movies at home (I do not take my books/Kindle to the movie theater)! I generally spend anywhere from 30 minutes to an hour reading to unwind at night, hoping my brain will settle and I’ll manage to fall into a good deep sleep. Choosing to read Creativity For Sale: How I Made $1,000,000 Wearing T-Shirts And How You Can Turn Your Passion Into Profit, Too by Jason SurfrApp as a “calming” book was an epic fail on my part. Fantastic book, but if you’re reading it with the right mindset and intention, you’re not going to shut off your brain. I had to get up, literally, four times to jot down ideas when I started reading this book. Jason, who took on SurfrApp as his last name the SECOND time he sold his last name to the highest bidder, is a big idea kind of guy. While I never contemplated selling my last name, I also think of myself as an idea person, so this book really grabbed me. The funny, sometimes sarcastic, and self-deprecating writing style also really worked well for me. While Jason takes the launching of his ideas and the running of his business(es) very seriously, he doesn’t take himself too seriously. He’s forthcoming when it comes to sharing both his successes and his set-backs. While the types of businesses and launches that Jason calls his successes might not mesh with yours (I don’t know that I’d have been a good match for wearing company T-Shirts every day and sharing pics and videos in said shirts), the idea that creative, sometimes even wacky, ideas sell and can become successful and lasting businesses. While some of Jason’s ideas might seem zany, they are all rooted in the idea that a proper launch involves careful and considered marketing that includes your email list, your social media contacts AND your creativity. The book shares how he built his lists (the right and wrong ways) and I love how very open and honest Jason is about what works, what didn’t work and what failed abysmally. I appreciate that he honestly shares that he once employed spammy tactics and was shot down. None of us are perfect, and we’ve all come close to crossing a line. It’s positive to know that you can recover from mistakes if you are smart about getting back on the right foot. As an entrepreneur who sometimes has trouble shutting down and decompressing, I also appreciate that Jason shared his struggles to get and stay healthy while running a business (or many businesses). It can be very hard to balance life and innovation/ideas. It’s important then entrepreneurs remember that taking care of themselves allows them to take care of business. I like a business book that can share smart content and ideas without taking itself too seriously. This book definitely falls into that category, much like the books by Scott Stratten – especially The Book of Business Awesome / The Book of Business UnAwesome and QR Codes Kill Kittens. While this books is about a lot more than just social media marketing, it absolutely embraces the idea that you can/should be entertaining while you educate! Will all of the ideas I jotted down while reading this book come to fruition? Probably not. But a business book that sparks ideas and gets the reader excited about their business in a new way is a business book I want to read. And I did! 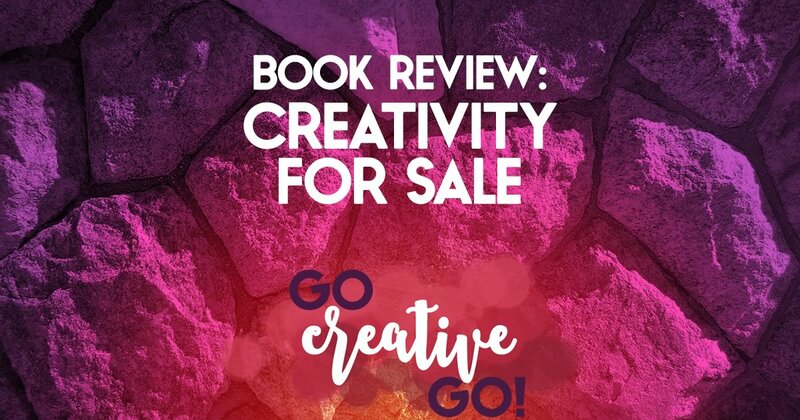 If you haven’t already read Creativity For Sale: How I Made $1,000,000 Wearing T-Shirts And How You Can Turn Your Passion Into Profit, Too, I strongly suggest you add it to your must read list. If you have read it, I’d love to know what you thought. Do you agree with my take? Please share in the comments!